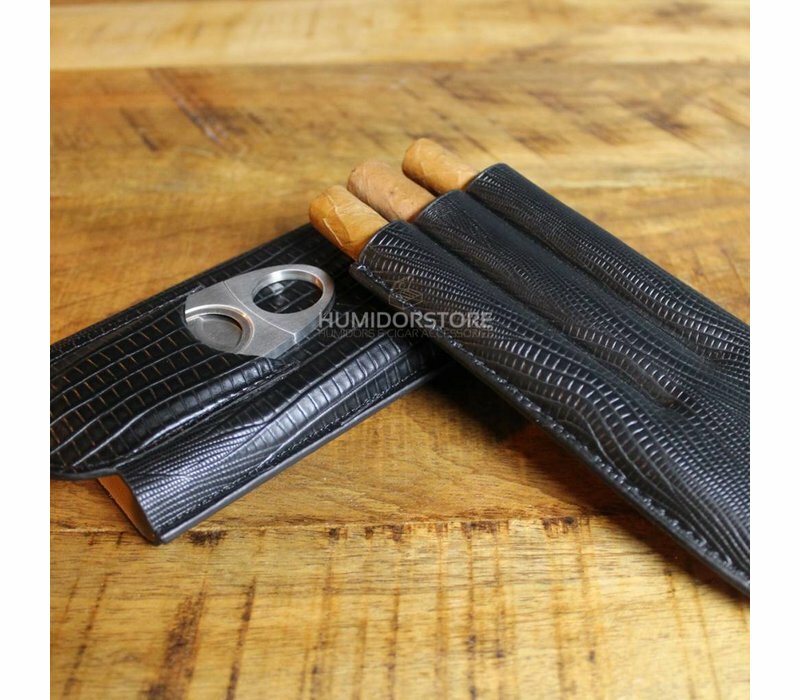 The Triple Black Cigar Case helps keeping your valuable cigars in a good condition when travelling. 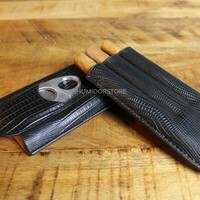 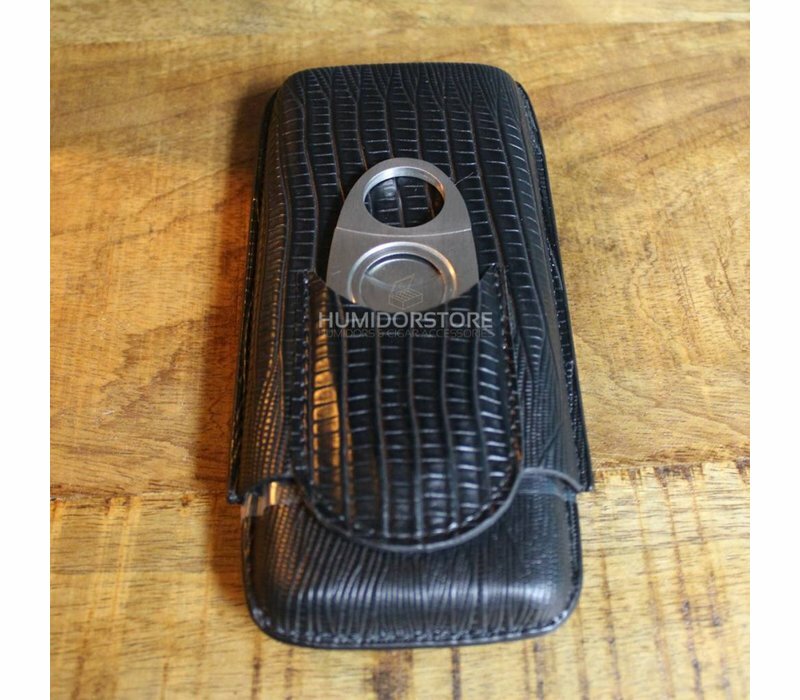 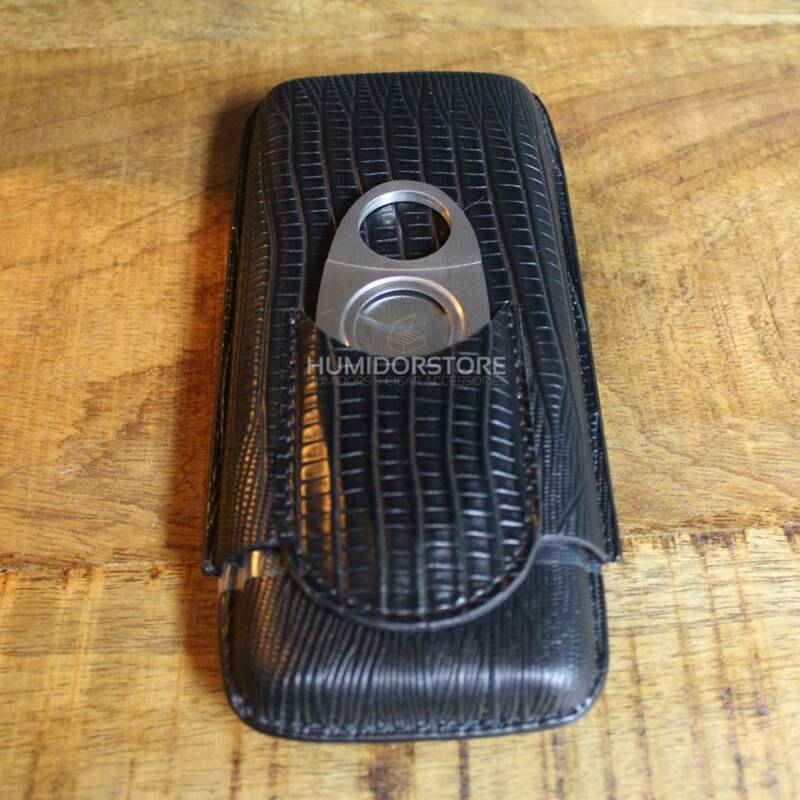 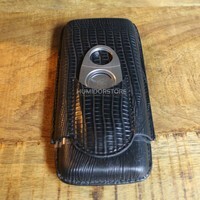 This cigar case has space for 3 cigars and will delivered with a guillotine cutter. 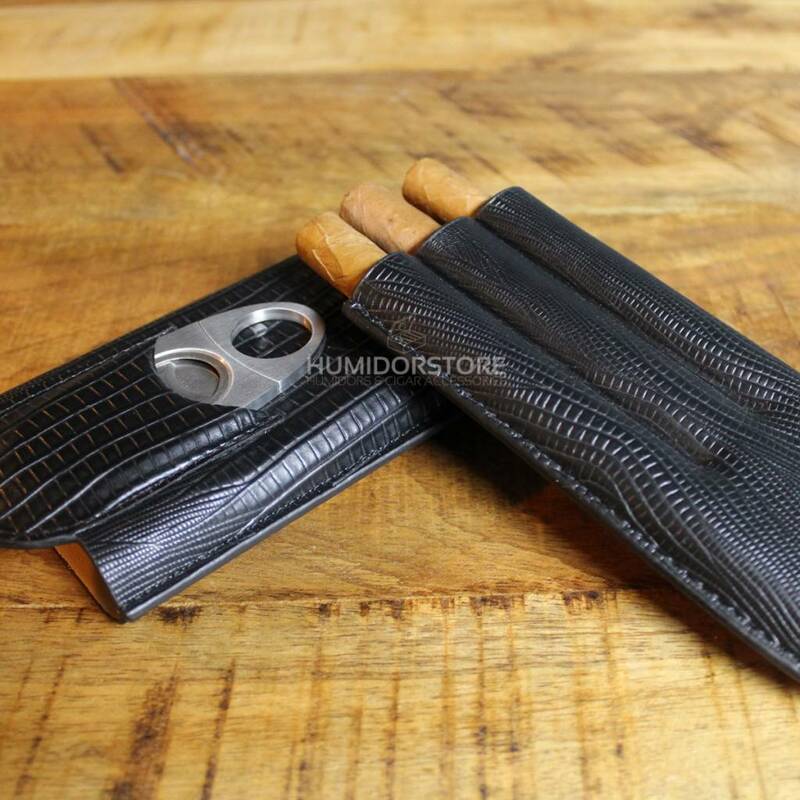 Keeps your cigars in a good condition when travelling. 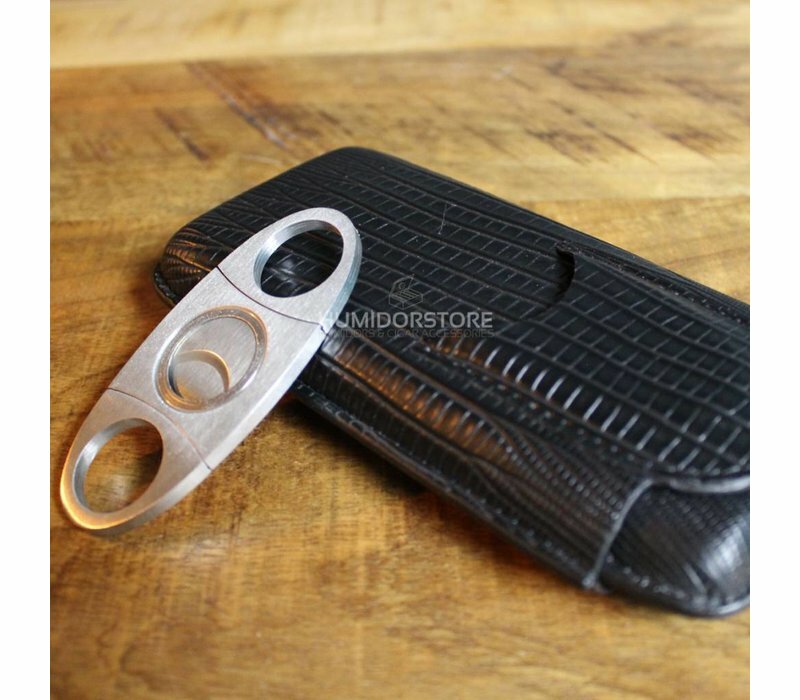 Can hold up to three cigars. 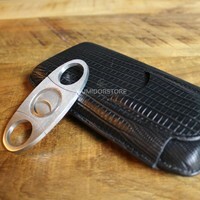 Including a razor sharp guillotine cutter.